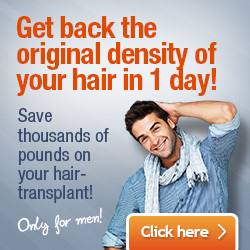 Why I Want a Hair Transplant? My hairline started receding in my early 20s and since then it has slowly, but surely progressed. Until recently, I haven’t given it much thought, hoping that it was something temporary. Now I know that it was one of the first signs of male pattern baldness. My father was significantly bald by the end of his 30s, and although I hoped male pattern baldness would skip me, unfortunately it didn’t. Now at 34, I’ve decided to stop the progression of my hair loss by getting a hair transplant. To some this may seem like an act of vanity, but for me it’s an important step to overcoming some of the self-image issues caused by my receding hairline. Hair transplant is hailed as the most advanced solution for restoring lost hair in an efficient and minimally invasive way. It produces natural-looking results that are permanent once the implanted hair follicles start growing in the recipient site. 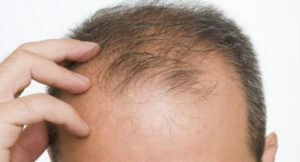 It’s literally the best medicine has to offer as a treatment for male pattern hair loss. Unfortunately, I no longer look my age. No at 34, people who meet me for the first time are taken aback when they learn I’m only 34. They all seem to believe I’m at least a decade older. The fact that hair loss changes your physical appearance takes its toll on your psychological well-being. It changes the way you perceive yourself, and it’s a serious hit on self-confidence. I’m hoping that a hair transplant will make me look my age and that once this happens, I’ll feel much better in my own skin. I’ve researched hair clinics, talked with people who have had hair transplant surgeries, and consulted with specialists, who have given me the green light for surgery. I’ve chosen a reputable hair clinic and an experienced hair surgeon who has helped restore the hair and confidence of many men and women struggling with hair loss. I have found price packages attractive and I asked for a quotation. I’ve exhausted all other treatment options recommended by my hair specialist, but the results were underwhelming. Most over-the-counter treatments worked only for a while, then they stopped working altogether. Prescription-based treatments have given me much better results, although not remarkable ones. 5. If not now, then when? It’s important to get hair surgery while the hair at the back of the scalp – which is the donor area from where hair follicles are harvested – is still densely populated with hair. These hair follicles are highly resistant to dihydrotestosterone (DHT), the hormone linked to hair loss, and they maintain their DHT resistance even in the recipient site. Unfortunately, there’s a limited amount of hair that you have at the back of your scalp, so it’s important to take full advantage of it while you still can. Feeling at ease with baldness is especially difficult if it appears too early in one’s life. Hair transplant responds to the needs of both younger and older men that are struggling with hair loss and thinning hair. Balding can be such a devastating experience that many men and women succumb to depression because of it. Fortunately, it’s not all doom and gloom when it comes to male pattern hair loss and today’s medical technologies give hope to everyone in my position. A hair loss transplant not only restores your hair, but also your self-worth and confidence, aspects that ultimately influence your personal and professional life as well. These are my reasons for wanting a hair transplant, your reasons may be completely different. I’ve decided to share my reasons in the hope that I can inspire others as well to take action and seek out specialized hair restoration treatments. Save 60-70% on UK cost! 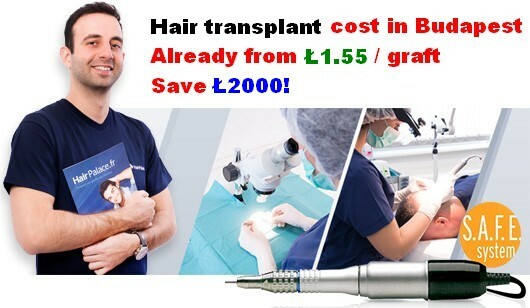 Save up to 60% on your hair transplant costs without compromising on quality! 10+ years of experience, great results, written guarantee for every implanted hair. Get a free quote and save!